In Trieris Villa, we met Dimitri who was the best person with who we share in Santorini!, he was all the time taking care of us and he was very helpful and available since the beginning to the end. If we could we will definitely stay again in Trieris Villa. The room and the pool was amazing to our honeymoon, an unforgettable experience! Thanks for all your kindness and time, also the cleaning was amazing and also the help with our bags! It is súper accesible and in a very great place on The Island to take transportation (buses and taxis). The location was close to shops and transportation. Easy to get to. Staff was helpful and served a nice breakfast. The host Dimitri was extremely kind, helpful and genuinely friendly. He helped us with luggage from arrival and explained everything in detail. He answered all questions and recommended great things to do. He even booked a last minute sunset tour for us. He made sure we were all okay and the Trieris Villa was simply amazing. Truly exceeded our expectations. All parts of the accommodation was amazing, both inside and the view outside. Super clean. Breakfast delivered to our door every morning. One of our loveliest stays in Europe! Thank you. Everything! The cave suite was very unique, well furnished and clean. The breakfast options were great. Also, the host is very responsive and helpful and arranged everything we needed (airport transfer, atv rental, catamaran tour). The trip would not have been as great as it was without his help. 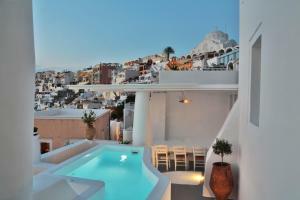 The location is absolutely superb as well - at the heart of Fira with stunning view of the caldera! Would definitely recommend this place! A very comfortable very clean well located hotel. Dimitris was very helpful even storing our bags and organising an excellent taxi to Oia. Our breakfast of cooked bacon and egg and fresh croissants etc was served on our outdoor tables overlooking the cadera. The soundproof rooms had a large bathroom area and as it was a cave the temp was very even. On arrival we enjoyed complimentary champagne and drank this from our hotel as we watched the sunset. This helped our trip to Fira an unforgettable experience. All was perfect. 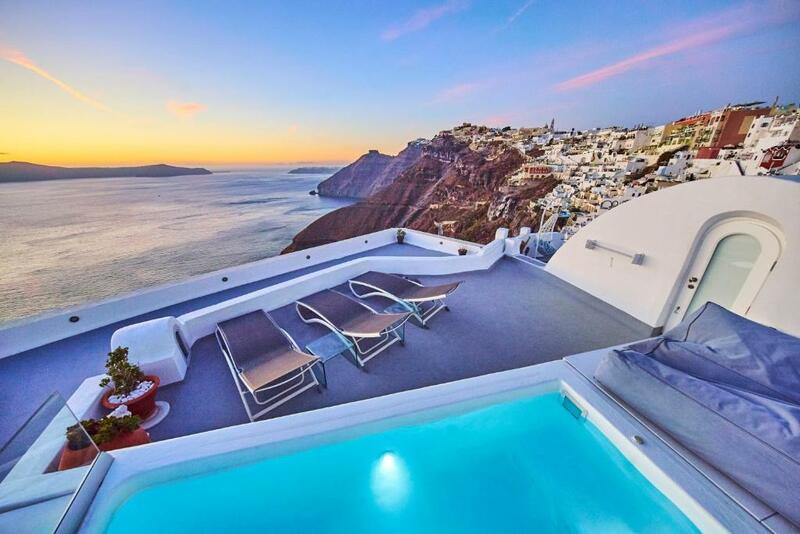 Location,views,landlord. Inside pool is great drags attention from ouside. Dimitrios and his team looked after us very well. A most enjoyable stay. Lock in a great price for Trieris Villa & Suites - rated 9.5 by recent guests. 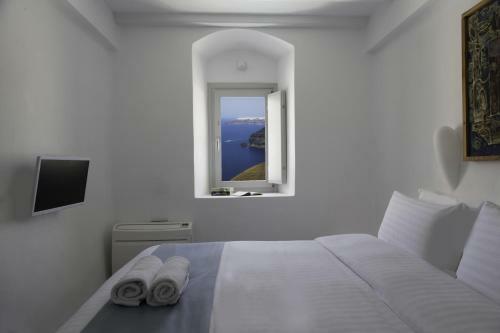 One of our top picks in Fira.Built in 1790, Trieris Villas & Suites is 1,149 feet above the sea level and just a 3-minute walk from Fira Town Centre. 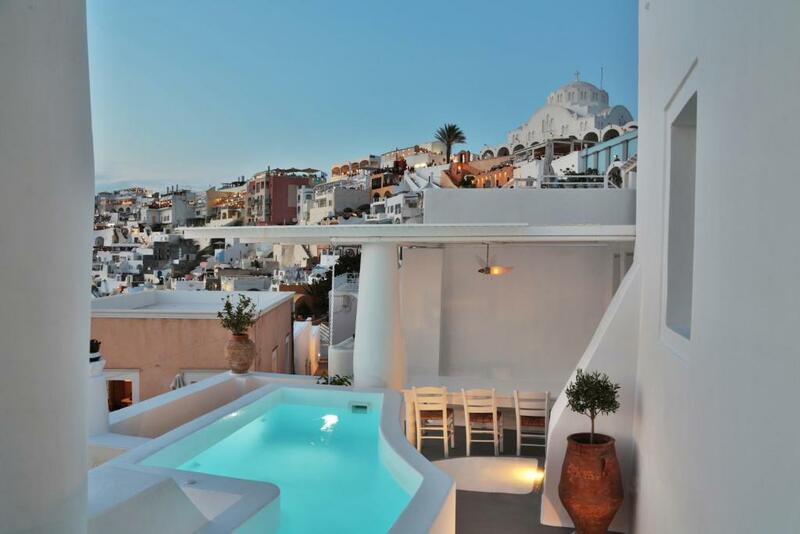 It features a heated outdoor pool with hydromassage jets, and panoramic Aegean Sea and Caldera views. Free WiFi is available throughout. 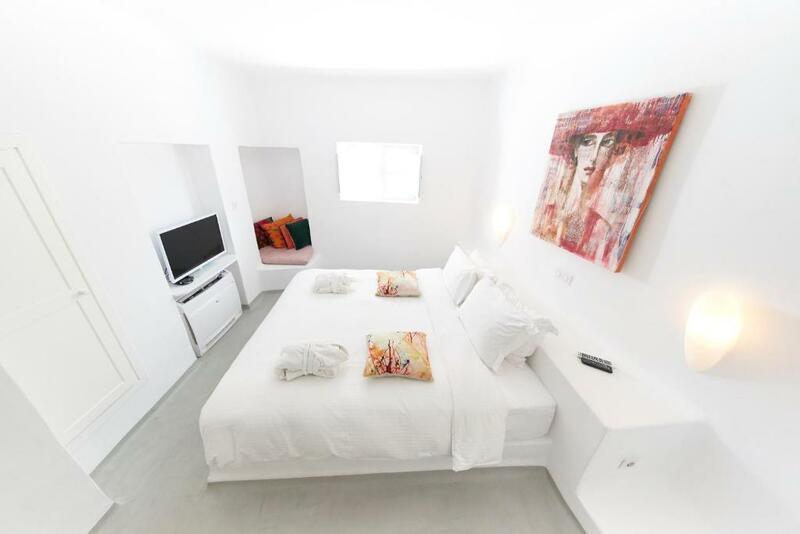 All units at Trieris Villas & Suites are air-conditioned and feature stylish, contemporary furnishings. Private bathrooms come with free toiletries, slippers and bathrobes. Some are fitted with a fully equipped kitchenette and a satellite, flat-screen TV. The owners can help with various arrangements, such as restaurant reservations, car rentals, wine tasting tours and boat trips. Archaeological Museum of Thera is 450 yards from Trieris Villas & Suites, while Prehistoric Thera Museum is 450 yards away. The nearest airport is Thira Airport, 2.5 miles from the property. Trieris Villa & Suites has been welcoming Booking.com guests since 8 Jul 2015. When would you like to stay at Trieris Villa & Suites? Including a private, cave pool with hydromassage facilities and featuring contemporary furnishings, this spacious suite opens to a terrace with Aegean Sea and Caldera views. It also offers access to the heated pool and features COCO-MAT mattresses. Offering views of the Caldera and the Aegean Sea from its veranda, this spacious suite features direct access to the heated pool with hydromassage facilities. It includes modern furnishings and air conditioning. This double room features a terrace, Caldera view and air conditioning. 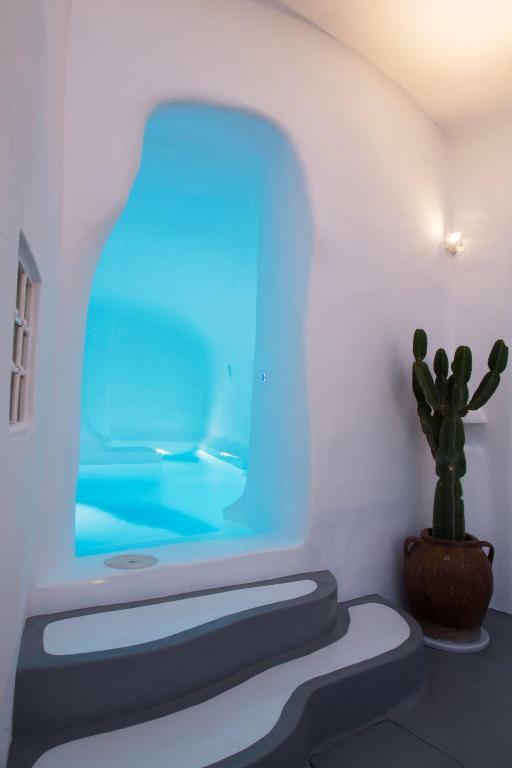 It offers access to the outdoor hot tub and cave pool. 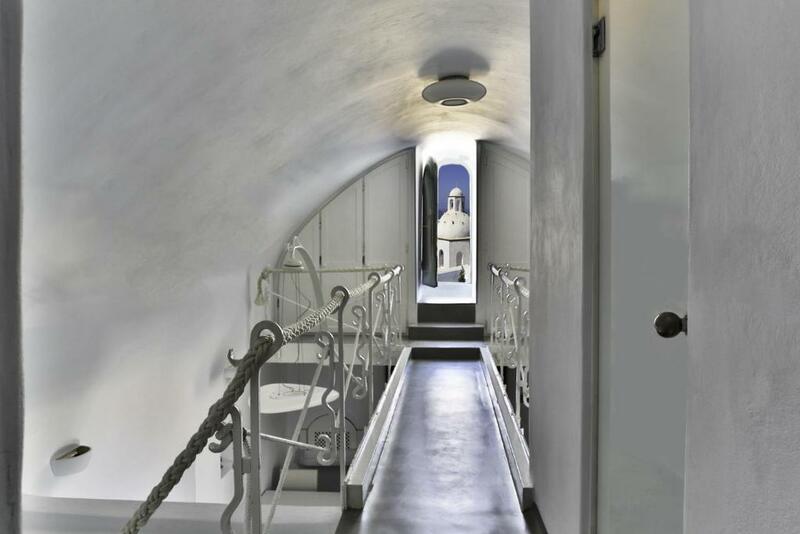 We are happy to welcome you at beautiful captain's house right in the heart of Fira on Caldera cliff that was originally build 1790 and hosted the most wealthy family of the Santorini island. Trieris villa is within seconds to most of the shops and main path walks and it's a true gem for those who wish to feel the essence of the Santorini's living !!! House rules Trieris Villa & Suites takes special requests - add in the next step! Trieris Villa &amp; Suites accepts these cards and reserves the right to temporarily hold an amount prior to arrival. Trieris Villa & Suites accepts these cards and reserves the right to temporarily hold an amount prior to arrival. Would be nice to have better heating, the water in the shower room was flowing out but otherwise no other concerns. The place was awesome. The only thing I didn't like was that the room was a little humid because of the jacuzzi, because is a cave so there is not much ventilation. It would be nice to have a bigger dehumidifier for the humidity and the Clorox smell. Everything was clean, nice and an awesome view from the terrace. Is not a big place but it is nice. 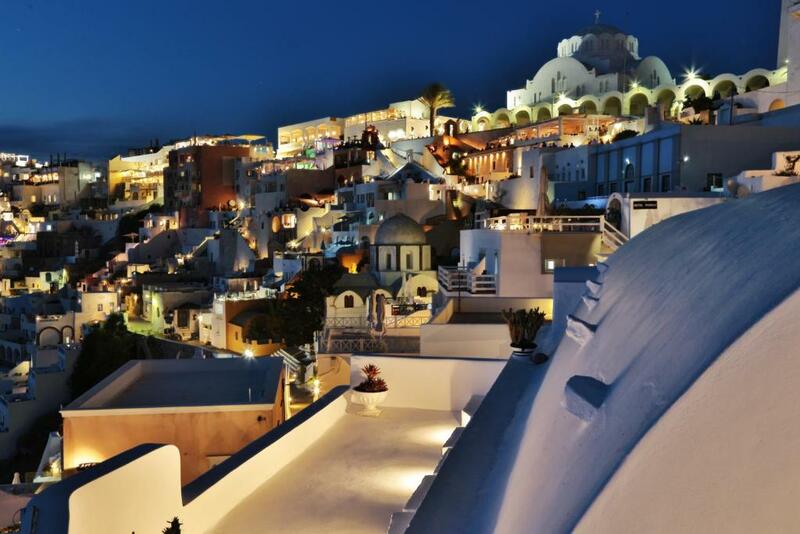 Just a few steps away from the center city of Fira. Well worth the money. Dimitri who checked us in was really nice and helpful. Our reservation included breakfast which was really good and was plenty of food. Dimitri, host meet us even though we had arrived early in morning and our checking time was in afternoon. He accommodated us by giving our breakfast when we arrived once he found that we would be checking out early next day before breakfast. Everything about the suite and Dimitriv is very helpful. We really enjoyed our stay. It is a beautiful.place to explore santorini. Love the breakfast at the terrace.love the caldera view. Memorable stay.. They take such good care of you here, always making sure your comfortable and have everything you need. And the breakfast they cook for you in the morning is fantastic. You can’t go wrong picking this place!